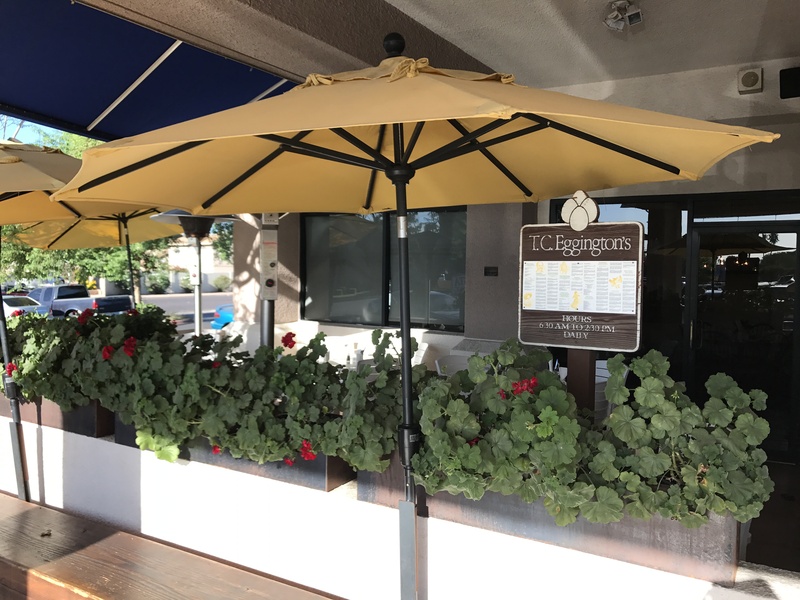 My first food vlog for the Mesa Chamber of Commerce happened today at one of my all-time favorite restaurants, TC Eggington’s located in Mesa’s Fiesta District on Alma School, just south of US 60. This restaurant opened in 1985, just a short distance away from where I continue to live. I was wowed at my first visit there 32 years ago and that experience has been consistent throughout the years including breakfast today. I have to confess that I am an Eggs Benedict junkie and I have ordered it from restaurants all over the country and this dish as served at TC Eggington’s is one of the very best. I have a hard time ordering any other menu item (but really I do try different dishes). This is a classic presentation of a classic dish, expertly prepared. The hollandaise sauce is silky smooth and subtly good with perfectly poached eggs layered with tasty Canadian bacon on an English muffin that was easy to cut into. Oftentimes, other restaurants use dried-out hard English muffins on their version of this breakfast favorite. But TC Eggington’s understands that every layer of a Benedict is important to provide a wonderful taste sensation. The parlor potatoes accompanying my food this morning were up to the usual excellent standards. 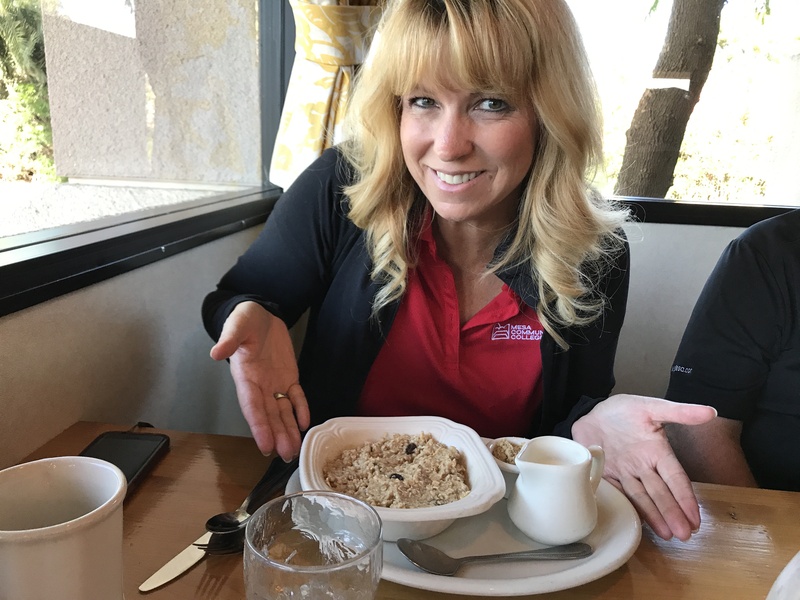 My dining companions took the healthier route, one with a large bowl of fresh fruit and the other with another of my favorites at TC’s, a bowl of great oatmeal. I have no guilt in enjoying my breakfast today! Another item not to miss at this top-rated restaurant is their freshly squeezed orange juice. I can neither confirm nor deny that on various visits I may have sipped this OJ in the Eggington version of a Mimosa! 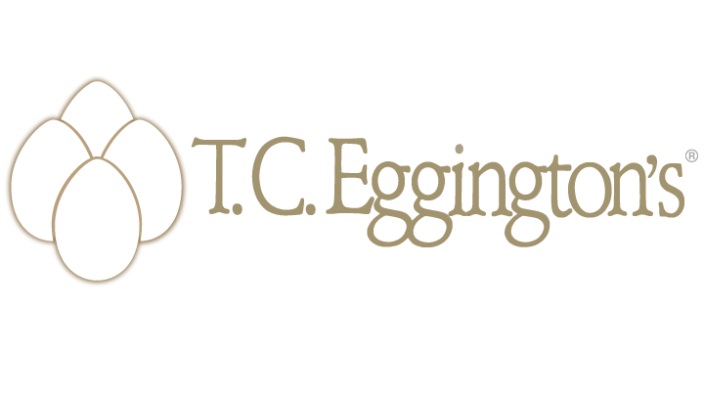 TC Eggington’s is a long-time chamber member with an enviable record of serving our community. You can’t miss with a breakfast, lunch or brunch at this fine establishment! Mesa Culinary Champions is a blog of the Mesa Chamber of Commerce, hosted by former Mesa City Councilman and Attorney Dennis Kavanaugh. 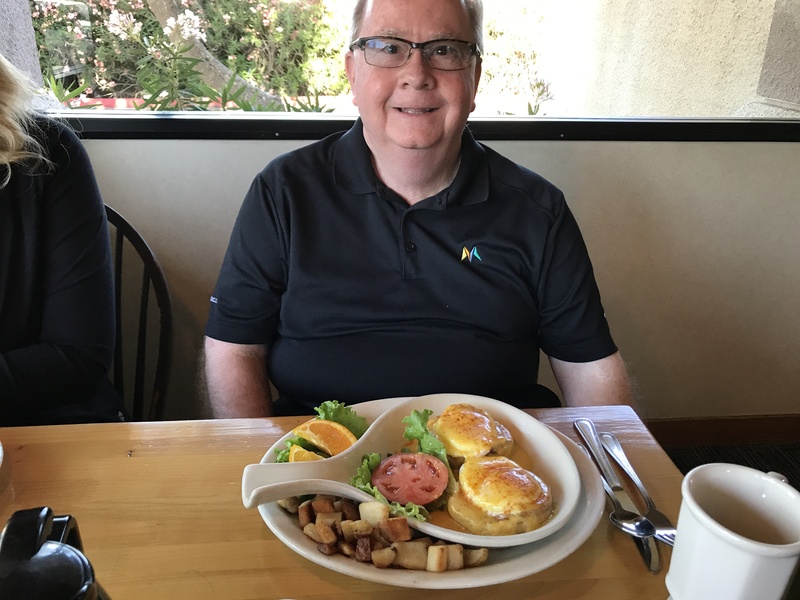 Each month, Dennis and Chamber CEO Sally Harrison visit a chamber member restaurant, and share their experience through the blog.